Metal grommets create clean tailored draperies with a distinctive look reminiscent of simple European design. Each finish has been hand selected to add a modern touch to countless fabrics. 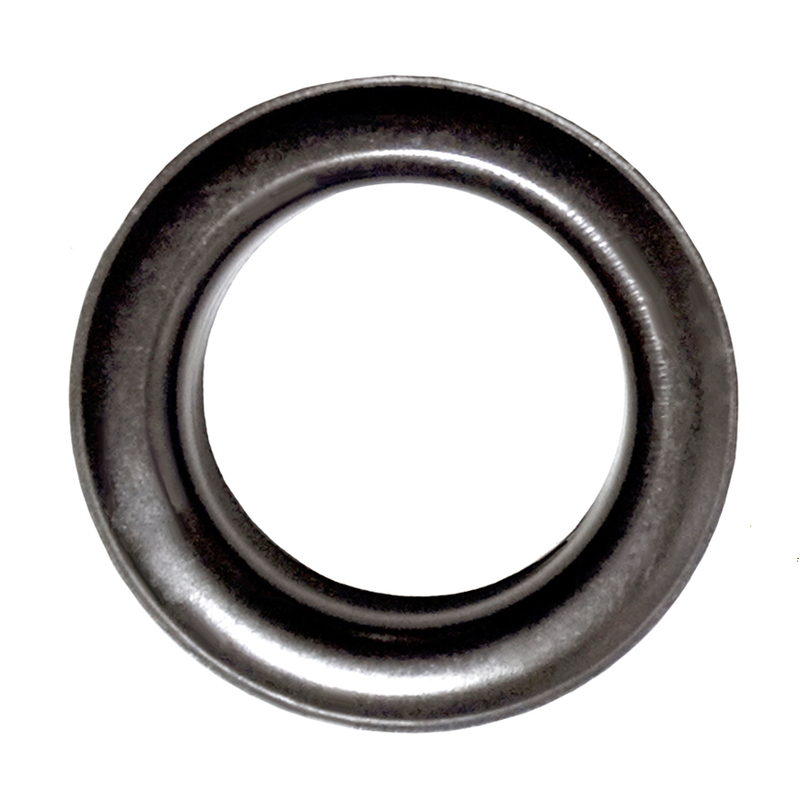 The #12 grommets are corrosion resistant making them ideal for outdoor spaces and high-moisture interiors. Perfect on shower curtains. Our grommets coordinate perfectly with select Brimar hardware collections including Tuxedo, Fifth Avenue, Ice and Signature Metal. Grommets have an inner diameter of 1 9/16” and fit 1” to 1 1/4” pole diameters.